As I’m sure you’ve discovered, there are a lot of cameras on the market today. And by a lot, I mean A LOT. That being said, it can be tough to know what camera might be best for you let alone where to even start looking. 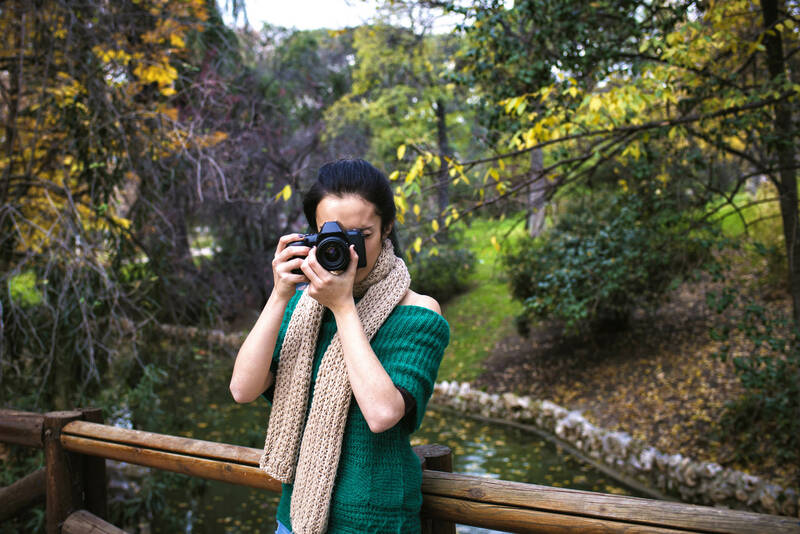 Within the domain of entry-level cameras, there is a group of cameras that provides you with advanced controls, like manual adjustments of aperture, shutter speed and ISO, without as many bells and whistles as professional cameras. These entry-level models also come at a much cheaper price, making them attractive for folks like you that want a solid camera that they can grow into. If you need a place to start your search for a powerful, yet relatively inexpensive camera, this is it! Below, you’ll find 12 of the best entry-level models broken down by manufacturer. 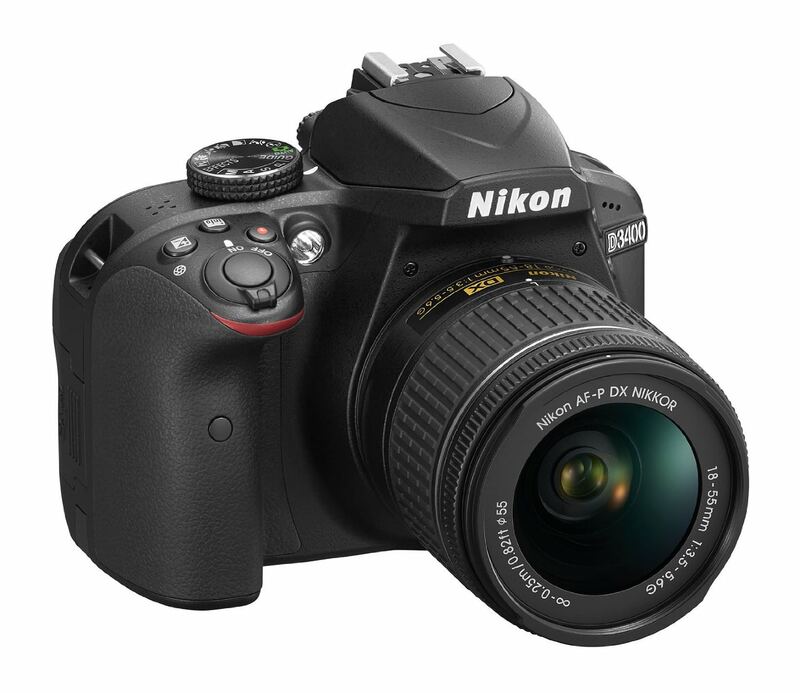 The first entry-level model from Nikon you might consider is the D3400. With a 24.2-megapixel APS-C CMOS sensor, it has a larger sensor than many of the comparable Canon models listed below. With EXPEED 4 processing, the camera has good, quick performance for a beginner’s camera as well. That processing power enables shooters to take photos at 5fps, which is pretty quick for an entry-level camera. Low-light shooting capabilities are solid as well, with an expanded range to ISO 25600. You can also create full HD videos at 1080p. The 11-point autofocus system works well for most applications, though like many entry-level cameras, it won’t be something you’d want to use if your subjects will be engaged in fast-moving action. A unique feature for a camera at this price point is the absence of an optical low-pass filter. Without it, the D3400 produces images that have improved sharpness and resolution, which is a benefit that any photographer will appreciate. Chris Winter gives an overview of other unique features of the D3400 in the video above. On back is a 3-inch 921k-dot LCD for viewing your photos and shooting in live view. It’s not the most robust display, but is certainly more than adequate for beginning photographers. Other features beginners will appreciate is Bluetooth connectivity to transfer photos from the camera to another device and a Guide Mode that walks you through the different features of the D3400. This model can be found for under $500, and that includes an 18-55mm kit lens. A step up from the D3400, the Nikon D5500 has a more robust set of features that make it a more functional option for some photographers. 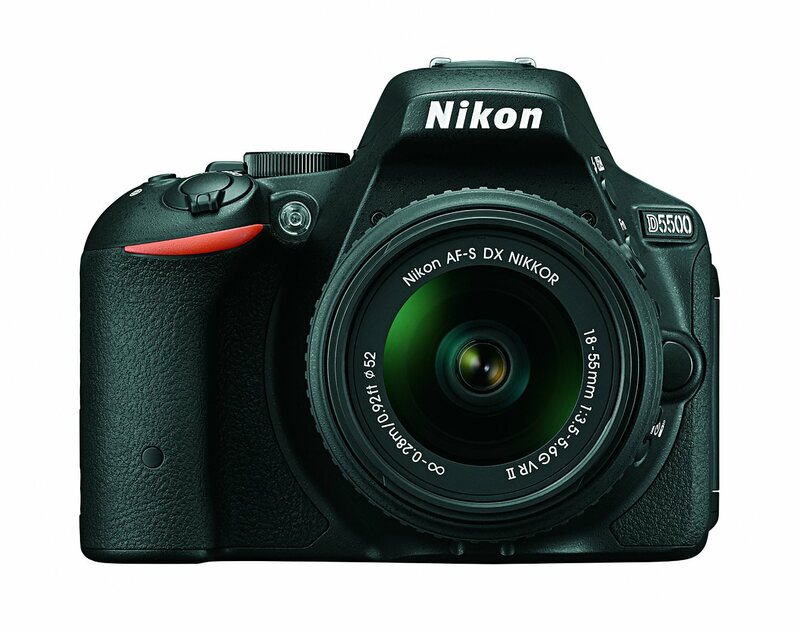 The D5500 shares the same 24.2-megapixel APS-C CMOS sensor and EXPEED 4 processor with the D3400. The 5fps continuous shooting and HD video capabilities remain the same as well. However, where the D5500 sets itself apart from the D3400 is in the improved 39-point autofocus system, which has nine cross-type sensors. That makes the D5500 a better option for shooting subjects on the move. Also improved is the 3.2-inch 1.04m-dot touchscreen LCD, which articulates for improved viewing. This camera also incorporates Wi-Fi for expanded image sharing possibilities. Get a hands-on review of these and other features in the video above from DigitalRev TV. Those added features come at a price, though. Where the D3400 is less than $500, the D5500 with a kit lens is in the $700 range. The Rebel T5 has excellent imaging options for a beginner. Equipped with an 18-megapixel APS-C CMOS sensor, it doesn’t have the resolution of higher-end cameras, but it’s still plenty to get quality images. The DIGIC 4 processor allows for quick processing speed as well as full HD 1080p video recording. With a possible continuous shooting speed of 3fps, this camera isn’t going to be ideal for shooting sports, wildlife, or other fast-moving subjects, but for traditional images like portraits or landscapes, it’ll do the trick. The expanded ISO range reaches to 12800, giving you solid options for shooting in low light situations. On back is a 3-inch 460k-dot LCD that pulls triple duty as a way to shoot in live view, review your images, and make menu selections. There’s even a Feature Guide that will help you work your way through the different functions and modes of the camera. That’s not a bad package for under $400, which includes a lens! 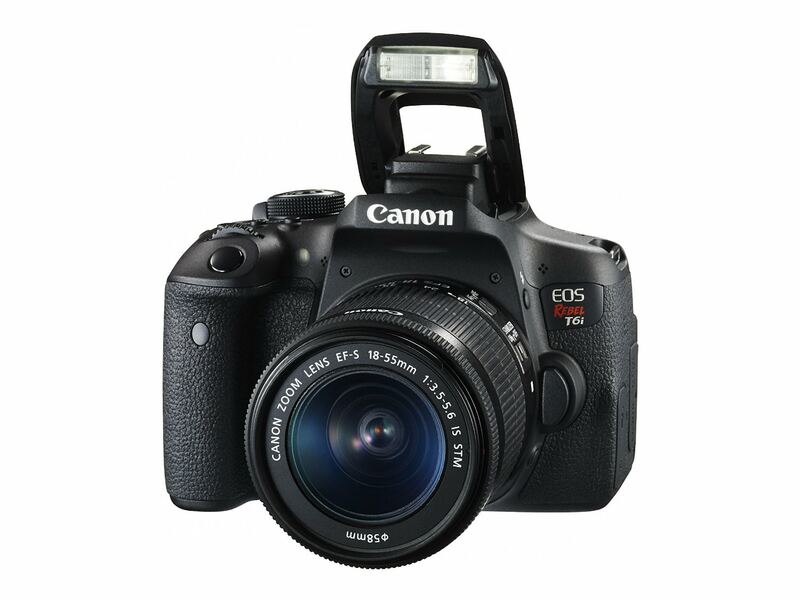 A step up from the Rebel T5 is the EOS Rebel T6. Though the T6 shares many of the same components as the T5, it has improved features that make it a more attractive camera for beginners that want a bit more functionality. The T6 comes with a DIGIC 4+ processor, which provides faster performance over the DIGIC 4 found in the T5. Additionally, the Rebel T6 has an improved 3-inch LCD screen with 920k-dot resolution for an improved visual experience when shooting in live view or reviewing the shots you’ve already taken. The T6 also sports modern technologies like built-in Wi-Fi and NFC, which allows you to share photos and videos wirelessly. That also means that you can control the camera with a compatible smartphone, making it easy to fire the shutter, start and stop movies, and so forth, all without having to even touch the camera. Perhaps the best part is that the T6 is priced aggressively just above the T5. Despite having more robust features, you can find a Rebel T6 with a kit lens for about $450. 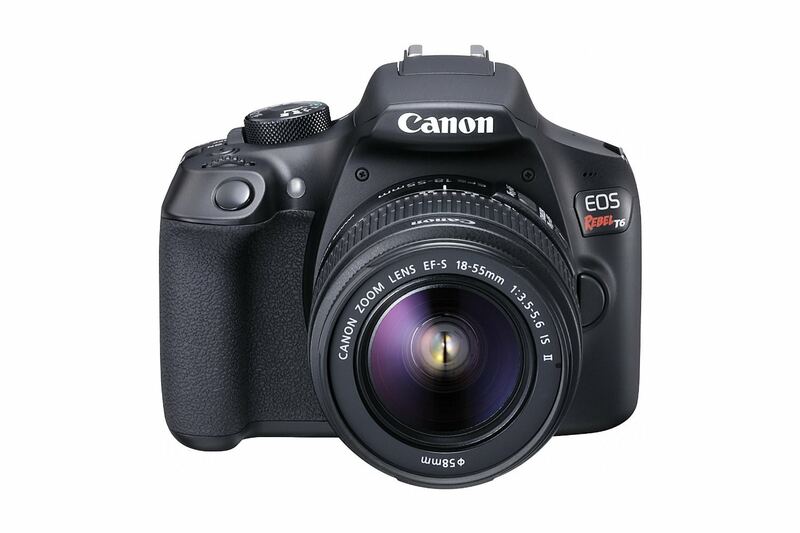 Yet another step up in the Canon line of entry-level cameras is the Rebel SL1. Like the first two models, the SL1 sports the same 18-megapixel APS-C CMOS sensor, expanded ISO range of 12800, and HD video shooting at 1080p. However, the SL1 is paired with a DIGIC 5 processor, giving it improved performance over the Rebel T5 and Rebel T6. That includes improved continuous shooting at 4fps, and with a 9-point autofocus system with central dual cross points, it has better performance when tracking moving subjects. Another benefit of the SL1’s autofocus system is that it is hybrid, meaning when you record video or use live view, the system uses phase-detect and contrast-detect focusing to give you much-improved focusing and speed of focus over the previous two Canon models reviewed above. The SL1 also has an improved LCD - a 3-inch Clear View II with 1.04m dots of resolution. The screen is touch-enabled as well, making it a more convenient and intuitive way to navigate through menu systems. Get a look at the LCD and other features of the SL1 in the video above from AdoramaTV. Lastly, the SL1 is one of the most petite DSLRs on the market today. It weighs in at just 13 ounces and is less than 5 inches wide. That means it’s a camera that you can easily carry with you just about everywhere you go. Even with these expanded features, the SL1 can be purchased with a kit lens for under $500. If you want even more features available to you that will help you learn and grow (without outgrowing your camera) you might consider the EOS Rebel T6i. Though the T6i looks a lot like the previous Rebel models, it comes with a much larger set of features that is more on par with enthusiast photography, but without being so complicated that it would cause a beginner to throw their hands up in the air in confusion. The T6i has an improved 24.2-megapixel APS-C CMOS sensor with DIGIC 6 processing. That means not only higher resolution images, but the fastest performance of any of the Rebel cameras reviewed thus far. It also sports a vari-angle 1.04m-dot touchscreen, which folds out and articulates for improved viewing. Additionally, the T6i has 5fps continuous shooting, an expanded ISO up to 25600 for better low-light shooting, and a 19-point autofocus system that has the hybrid performance of the SL1. 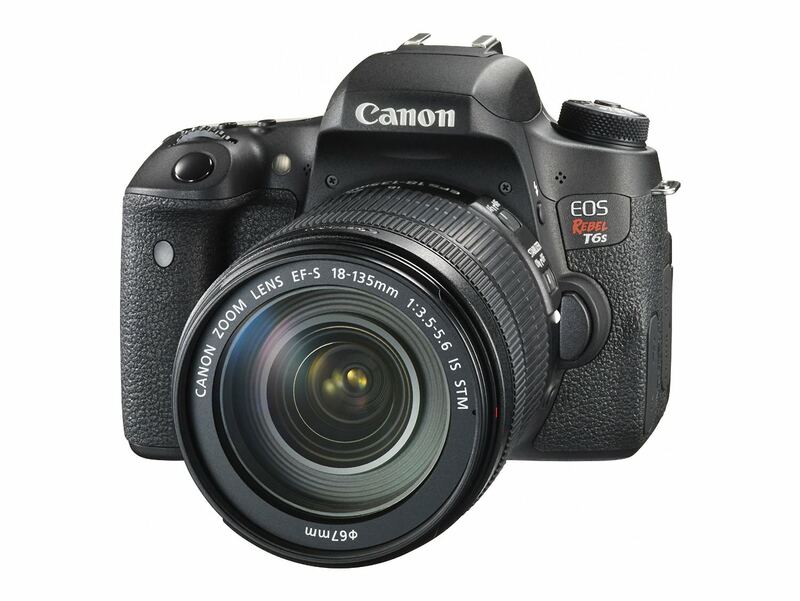 Get a broad overview of this and other features of the T6i in the video above by ArtoftheImage. Because the T6i has a bigger slate of features, it also has a bigger price. You can purchase a bundle with the camera and a kit lens for around $750. 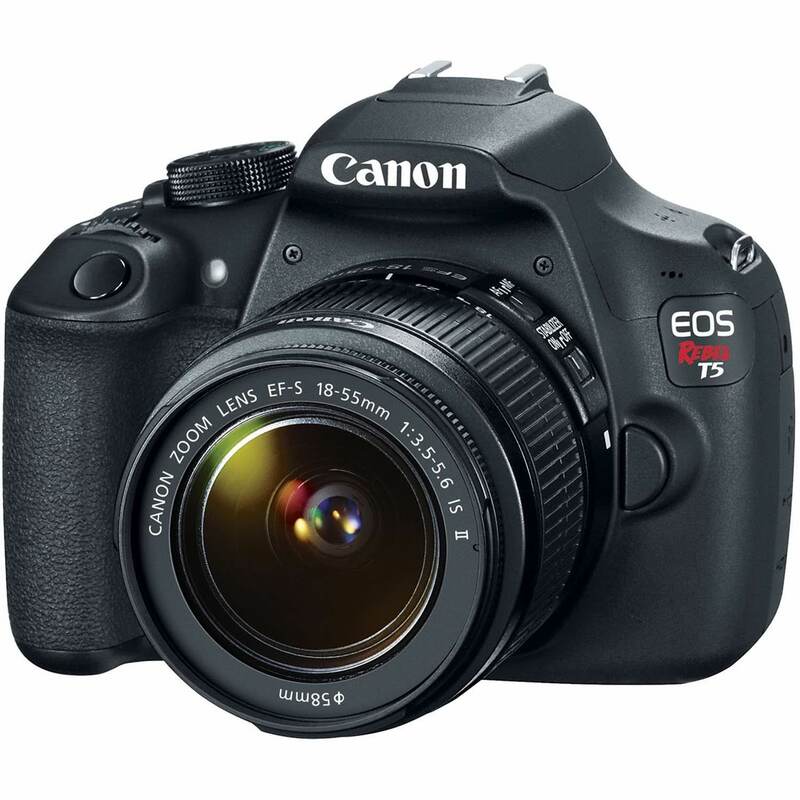 A step up from the T6i is the EOS Rebel T6s. These cameras share a wide-range of features, including the same sensor, image processor, and touchscreen LCD. The T6s also sports the same HD video capabilities, 5fps shooting rate, and ISO range to 25600, as well as the same Wi-Fi and NFC features of the T6i. However, where the T6s improves upon the T6i is in functional additions that improve the workflow and your ability to get better images. Namely, the T6s incorporates a quick control dial that allows you to make on-the-fly adjustments to your camera settings with greater speed and ease. The T6s also has an LCD panel on the top of its body (like more high-end DSLRs) so you can quickly review your settings. There is also a built-in horizontal level, that way you can keep the horizons straight when taking photos. Have a look at the T6s in the in-depth field review of the camera by Maarten Heilbron. Those added features add quite a bit to the price tag, though. At $1,050 (which includes a kit lens), it’s one of the most expensive cameras on this list. 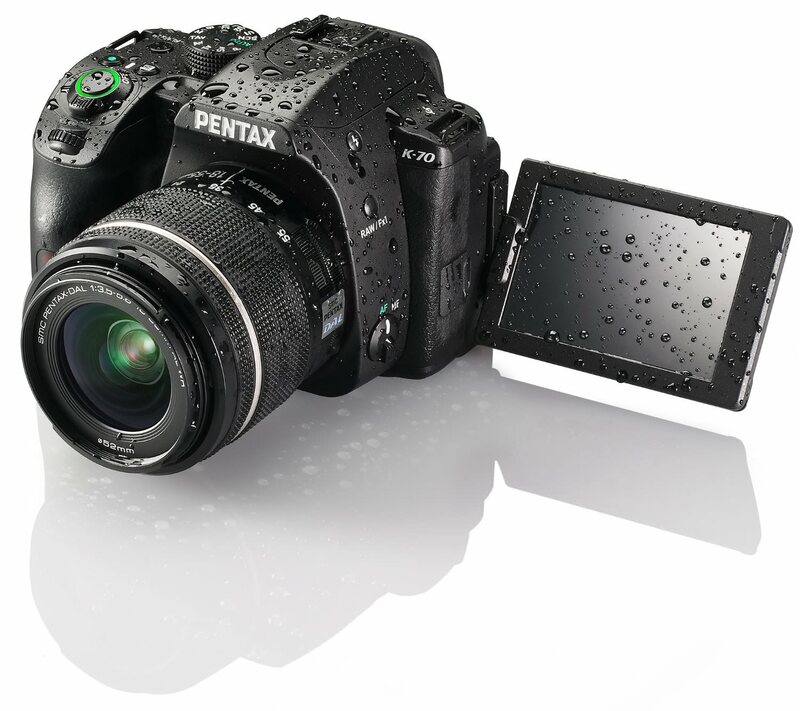 The basic entry-level model from Pentax is its K-S2 camera. Featuring a 20.1-megapixel APS-C CMOS sensor with PRIME M II processing, this camera is comparable to others on the list in terms of image quality and speed of operation. Also similar are features like 5.5fps continuous shooting, HD video at 1080p, and an 11-point autofocus system that falls short of other models like the Sony a68 but is comparable to many of the Canon models on this list. The K-S2 has an expanded ISO range of 51200, making it one of the better options for low-light shooting. 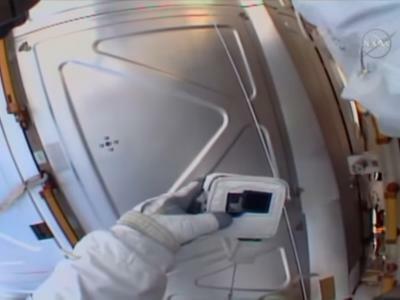 With a 3-inch 921k-dot LCD panel that articulates, you can get low to the ground or hold the camera over your head for more interesting angles of view and still be able to see the LCD. 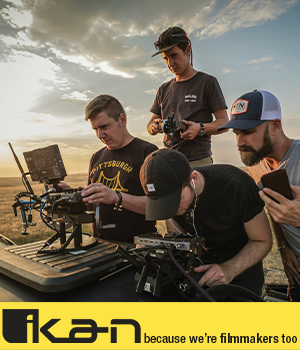 The K-S2’s onboard image stabilization system ensures your photos are sharper, especially when considering the camera does not have an optical low-pass filter. 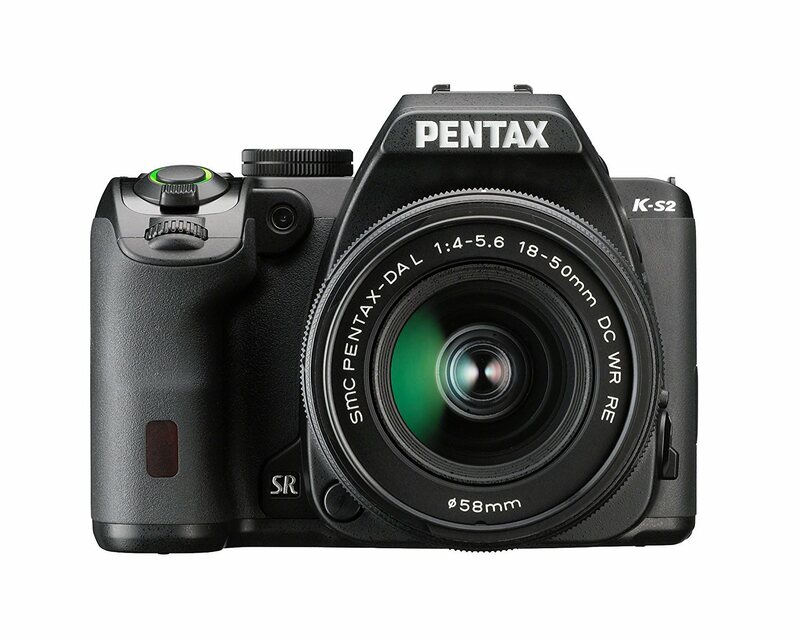 The Pentax K-S2 is a good buy as well. Priced at under $550 for the camera and an 18-50mm kit lens, it’s right in the middle in terms of cost of the cameras on this list. A more recent release from Pentax is the K-70 DSLR. With a 24.2-megapixel sensor and a PRIME II processor, it has improved resolution and performance over that offered by the K-S2. Also of note is that the K-70 has an astounding expanded ISO range that reaches 204800, something that no other camera on this list can claim, making it one of the best options for shooting in low-light situations. With 6fps shooting, the K-70 is a better option for action shots. Though the K-S2 is weather sealed, the K-70 beefs up that weather sealing for a camera that’s ideal for working in less-than-ideal weather situations. The K-70 includes Wi-Fi for easy photo sharing, and you can take control of the camera using your smartphone. Check out other handy features in the video above from AdoramaTV. Other features of the K-70 are shared with the K-S2: it has the same video recording capabilities, the same 11-point autofocus system, the same image stabilization system, and the same 3-inch articulating LCD. All these features come at a cost, though. At nearly $900, the K-70 is pricey, but it represents excellent value for beginner photographers that have that kind of budget. Though some beginners might not consider Sony to be a manufacturer of entry-level cameras, that is a misnomer. 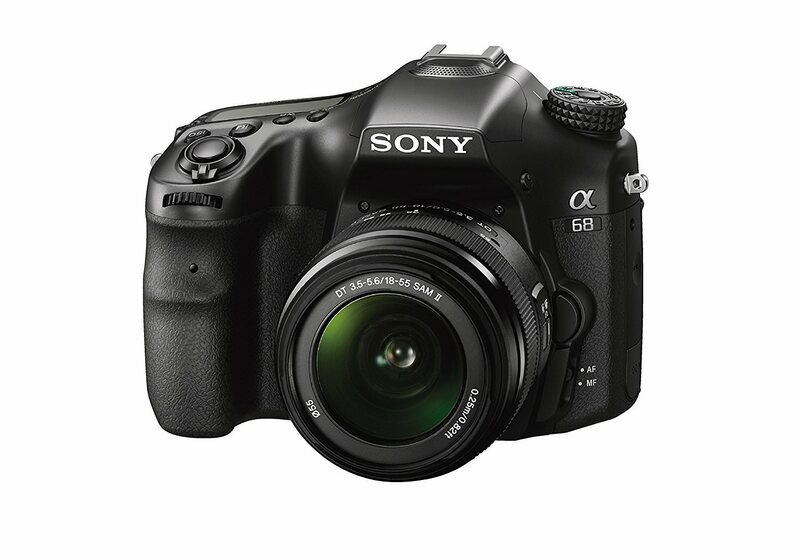 Their Alpha a68 DSLT camera is a solid choice for new photographers. What sets the Alpha a68 apart from other cameras from Nikon and Canon is that it has a translucent mirror (thus the DSLT designation). That means the mirror stays in place rather than swinging up and down in traditional DSLRs. Another feature that’s interesting is the electronic viewfinder, which replaces the more traditional optical viewfinder. With 1.44m-dots and an OLED display, the electronic viewfinder on the a68 is among the very best on this list. What’s more, you can look at the effects of your exposure settings before you actually take the photo. Additionally, you can use contrast-detection autofocus as you’re shooting, and if you shoot video, you can view the recording through the viewfinder rather than having to use the LCD. On top of that, this little Sony has a 24.2-megapixel APS-C Exmor CMOS sensor with BIONZ X image processing. These components allow excellent continuous shooting at 8fps with full HD 1080p video at 50MBps. See sample photos and videos and get more details on this camera by viewing the video above from Nothing Wired. The a68 also has excellent low-light shooting capabilities with a top ISO value of 25600. The 79-point autofocus system makes it a good choice for action shots, particularly with the 15 cross-type points spread over the frame that allows for easier tracking of moving subjects. If you think the a68 will be vastly overpriced compared to the other cameras on this list, you’re wrong. You can find one with a kit lens for under $650. The FujiFilm X-T10 isn’t a DSLR like the previous cameras on this list; it’s a mirrorless camera. Nonetheless, I’ve included it in this list for beginners because it’s a great all-around camera for someone just getting into photography (and for enthusiasts and even professionals too). In terms of features, the X-T10 is comparable to the DSLRs on this list in many ways. 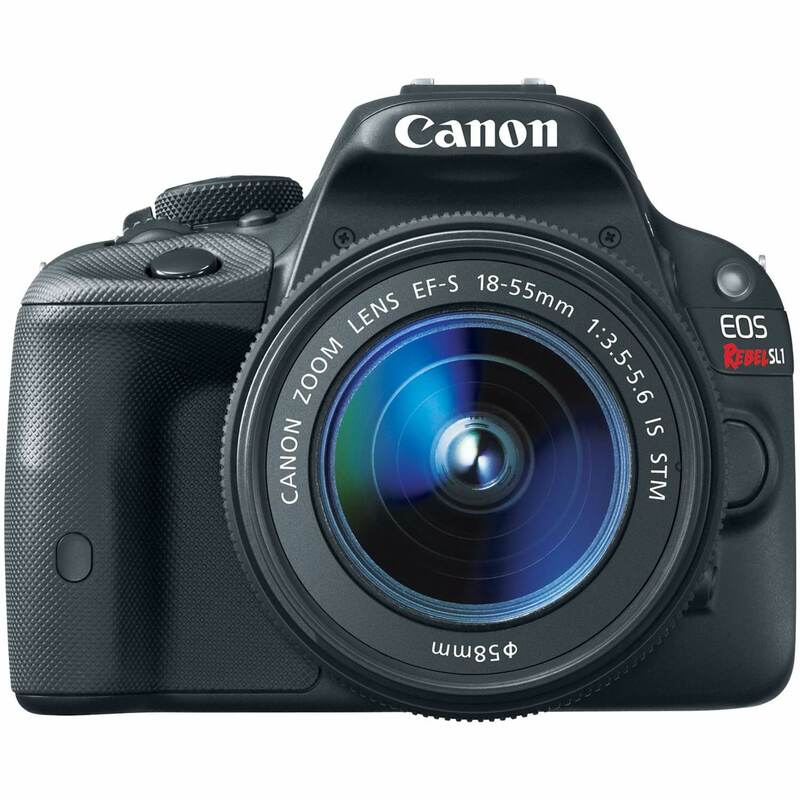 It has an X-Trans CMOS II APS-C sensor, though at 16-megapixels it has less resolution than other models on this list. The EXR Processor II is quick and allows for fast operation. Similar to other cameras in this price range, the X-T10 has native ISO up to 6400 with an expanded range up to 51200. It has a 3-inch 920k-dot LCD, which articulates for improved viewing. What sets the X-T10 apart (along with the Sony a68) is the OLED electronic viewfinder with 2.36m-dots for a gorgeous viewing experience through the eyepiece. Additionally, the autofocus system features both contrast-detect and phase-detect capabilities with multi-area and center focus as well as selective single-point with face detection. See these unique features in action in the video above from Joe Allam. HD video recording at 1080p is on par with other cameras on this list, though it records at 60p, where other cameras record at half that. 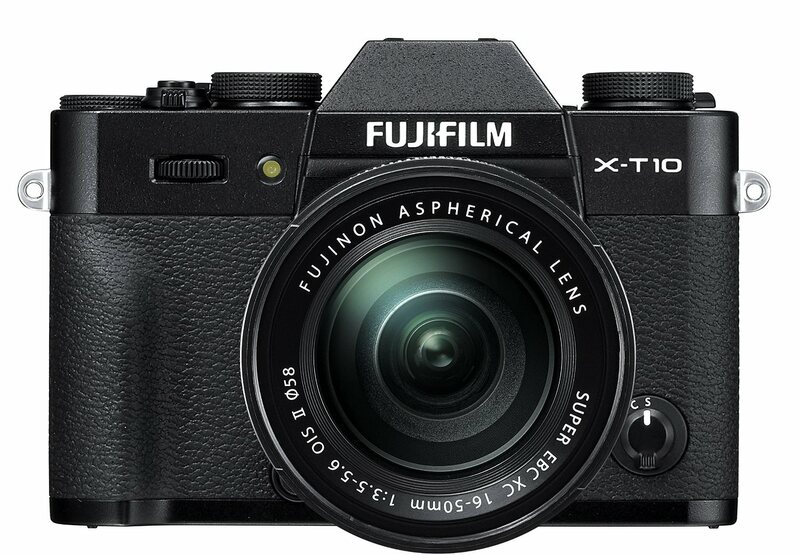 Priced at around $900 with a 16-50mm lens, the X-T10 is one of the pricier models on this list. However, for that price you get robust features and a mirrorless system, which might be a draw for many beginning photographers. 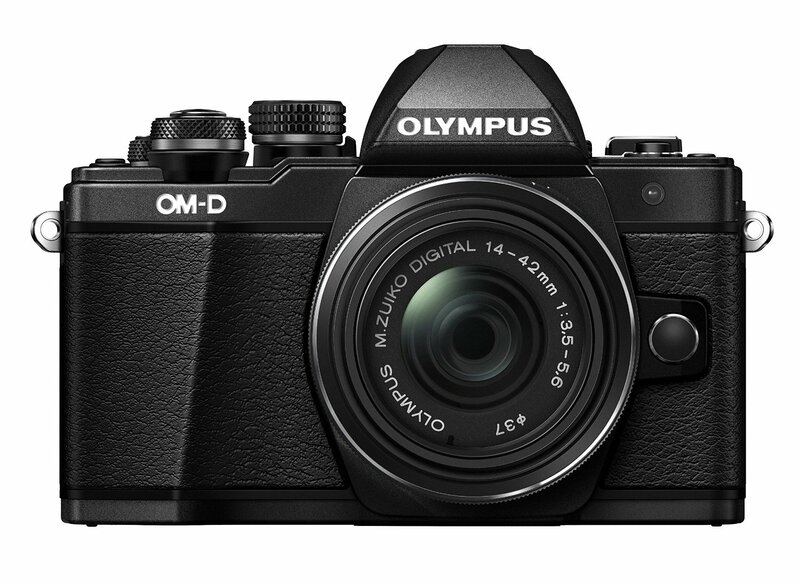 Another solid mirrorless choice for beginners is the Olympus OM-D E-M10 Mark II. Along the same lines as the FujiFilm X-T10, the OM-D E-M10 Mark II has a smaller sensor at 16-megapixels, and is four-thirds at that (compared to APS-C on all the other cameras listed here). It has a TruePic VII processor which enables fast operation and allows for 1080p HD video at 60p and a continuous shooting rate of 8.5fps. Also like the FujiFilm camera reviewed above, the Olympus features a 2.36m-dot OLED electronic viewfinder. The 3-inch touchscreen LCD takes up most of the back of the camera body, and with a tilting feature makes it easier to see when shooting at odd angles. Built-in Wi-Fi gives you improved control over the camera and allows for easy photo sharing, and with an optional grip, the camera becomes easier to hold by adding a little beef to its tiny body. Integrated 5-axis image stabilization also helps you create images and videos that are clearer and sharper. See this camera in action in the video above from David Thorpe. For a mirrorless camera, the Olympus is priced quite aggressively. 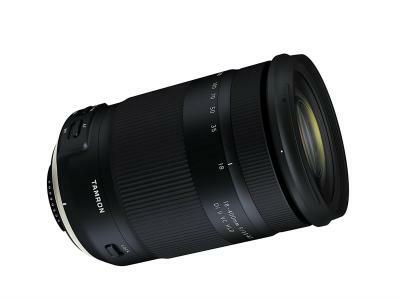 You can pick up the model shown above for under $600, including a 14-42mm lens. With that, you’ve got 12 top choices for entry-level cameras. Give these specs a second look, check out each video, and use those details to make an informed decision about which camera is right for you.